This month has flown by! It literally became an Eagle with wings, and decided to take me on a wild ride. I can’t even believe that Easter is upon us, I celebrated my 5th wedding anniversary, and St. Patty’s day came and went, with its pot full of gold at the end of the rainbow. By the way, I do not recommend watching the Leprechaun movies on St. Patrick’s day while being sober…Wow! Those movies were terrible! But the craziest of all things that could happen in March, is the amount of snow that I am seeing here in VA. I mean from light snow, to shower mixes, to a possible storm as I am writing this, I mean when is it going to stop? I guess Winter does not want to leave us so soon after all. Could it be that the year is going by so fast, that the seasons are not catching up? I mean, for me, it feels like time is going at the speed of light and I can barely keep up. And then there is Easter. What a great time to celebrate with family and all the children of one’s family. I hope time will slow down a bit, just for this one day, so that I can get to enjoy it! It is interesting how when we are young, we want everything to happen right away. We want time to speed up and grow up. But as adults, the opposite happens. Not only do we change as people, but we also have a different view of time. We simply do not want it to go by so fast. We do not want to grow old and we want to hold on to the good times as much as possible. Sometimes, it feels like life itself is just a dream. An illusion or a thought that simply lingers long enough to create memories. Then one day we can refer back to it, whether it was a good memory or a bad one; but nothing is really real. Nothing is that detrimental or constant. Eventually things change, situations change, people change, circumstances change. The only thing that is constant and for sure is time. It is always there creeping upon us. So on this month of March, I hope that we all take time from our MAD schedules to reflect, spend time egg hunting, eat way too many chocolates, create good memories, and take it one day at a time. Easter is upon us and I am astonished at how quickly these months have gone by. It kind of still feels like February. Maybe is the constant stress I have been under these few weeks that I have failed to notice that this week is Holy Week. 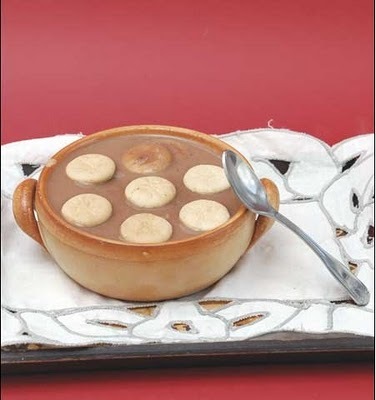 In the Dominican Republic we have a wonderful tradition of making a delicious bean dessert. I know many of you will think: “WHAT?”. But yes it is quite delicious and nutty tasting. Think of ginger bread cookies, almonds and cinnamon. That is what comes to my mind when I think of Habichuelas Con Dulce (Sweet Cream of Beans). This decadent treat is normally made of red beans. I remember my grandmother would buy the dry beans straight from the farmer’s hands in the countryside. Then, she would cook them with water in a pressure cooker. When the beans were soft, she would put them in a blender with water and a little milk. Afterwards, she would take a colander and filter out the “bean juice”. I have no idea how to make this, but I remember she would grab the biggest pot in her kitchen. 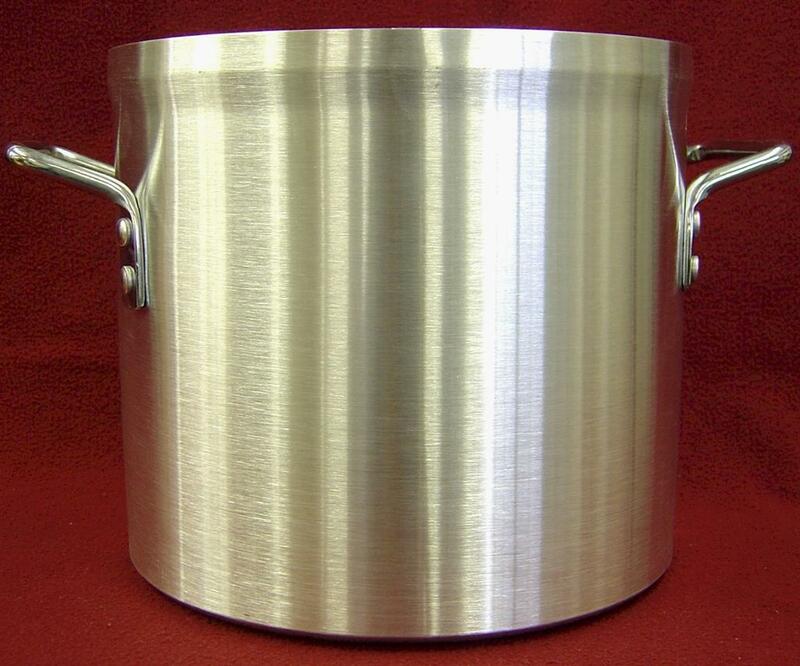 I mean it was a GIGANTIC aluminum pot. In the pot she would add lots of milk, coconut milk, evaporated milk, butter, cinnamon sticks, cloves, sweet potatoes, and the “bean juice”. The concoction would then have to be stirred for what seemed like hours. Then, the condensed milk was added with raw brown sugar, vanilla, raisins, and the ginger snap cookies. I like to describe the cookies as ginger snaps, but actually they were these small cookies with a cross in the middle. I think they were more like animal crackers. I don’t remember. All I know is that the smell of this desert would invade our house, and the sweetness of the condensed milk and the cookies would draw you in and make you smile. Even if you were on a diet, there was no way you could escape a little taste. The “Red Bean” ice cream that most Japanese Stake-Houses serve is a good comparison to the taste of this desert. Whether you are religious or not, I hope you all have a peaceful and happy Easter with family and friends.